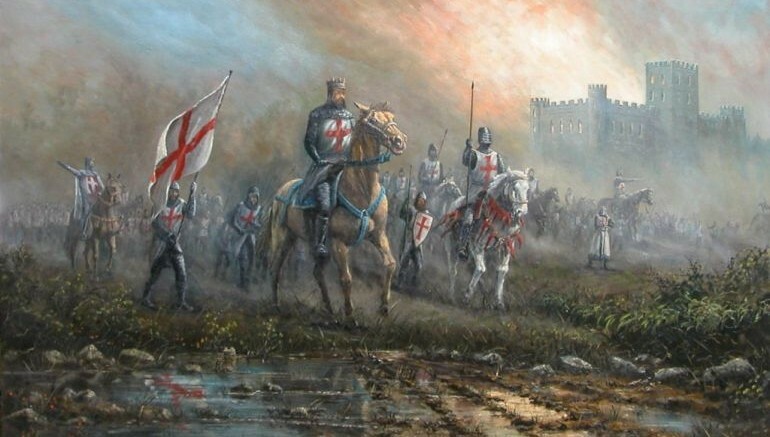 Mysteries and Knights Templar seem to go hand-in-hand when it comes to the realm of history. In fact, their full name ‘Poor Fellow-Soldiers of Christ and of the Temple of Solomon’ (or Pauperes commilitones Christi Templique Salomonici in Latin) directly pertains to the enigmatic Temple of Solomon – an ancient structure whose existence is still debated among the historians. And while the Templars did exhibit their fanatical martial prowess on the battlefields (a ‘quality’ conducive to Crusades), the moniker of ‘Poor Fellow-Soldiers of Christ’ didn’t really do the organization any justice. That is because by 13th century AD, the Order managed a huge economic infrastructure throughout Christendom while also making innovations in early European banking systems. However beyond enigmatic symbols, deep fortunes, and fervent warfare, the Templars also surprised many a history enthusiast with their apparent longevity. And that may have resulted from their pattern of a controlled diet that eschewed traditional European food items. As most historical sources make it evident, many important members of the Templar Order lived long enough when compared to the average life expectancy in Medieval Europe which oscillated between 25–40 years. So in contrast, Hugues de Payens, the first Grand Master of the Order, lived till the age of 66 (and died in 1136 AD); Geoffrey de Charney, preceptor of Normandy, was 63 when burned at the stake in 1314 AD; and finally Grand Master Jacques De Molay, who was also burned at the stake in 1314 AD after seven years of imprisonment, died at the age of 67. And while many then-contemporary sources equated such longevity to ‘divine will’, there was more to their lifestyles than just the favor of God. One of the potential reasons for longer lives can be arguably related to the unique diet patterns of many Templars. This diet mostly included the profusion of fruits, vegetables, dried legumes and cheese, along with the preference for fish – as opposed to red meat. The Templars also consumed moderate levels of wine infused with aloe pulps (with their antiseptic quality), while using nutritious olive oil for cooking. These food items are quite antithetical when compared to the fat-drenched and carcinogenic stuff (like grilled meat) usually consumed by other European political elites, that often led to conditions like high blood pressure and obesity. The Templar diet was specifically designed to fight this condition: Can one imagine an overweight knight fighting a dozen enemies? The study was originally published in the journal Digestive and Liver Disease.